Normally, when you hear the name Edward Snowden, your mind probably jumps to an image of a brown-haired young man in a pair of glasses, eager to talk with you about government surveillance programs. One thing you probably don't think of is a claw-wielding crayfish, but that may change — a news species of crayfish was named after Edward Snowden on Monday, as a salute to the NSA whistleblower's "extraordinary achievements in defense of justice, and freedom." Snowden, 32, has been in exile from the United States for the last two years, living instead in Moscow, Russia, while the United States seeks him on espionage charges. His influence, however — both as a leaker and a public face for surveillance-wary citizens — goes well beyond just his current and former homes. The researcher who bestowed the Snowden name on the new species of crayfish, as The Washington Post detailed, is Christian Lukhaup of Germany. It should come as no surprise that Snowden would be bestowed this kind of honor outside the U.S., and Germany has been home to a lot of pro-Snowden sentiment over the last couple of years — back in February, a YouGov survey found Snowden the fourth-most popular person in Germany, outranking President Obama, who ranked eighth. Here's what Lukhaup told the Washington Post about the new species, full name Cherax snowden. After describing a couple new species, I thought about naming one after Edward Snowden because he really impressed me. ... A crayfish is a powerful species; it's protected by a very hard shell, plus it has two very effective chelae, the pincers, and even if they are tiny, [they] can hurt a lot. A crayfish lives under a rock. It has to hide from his enemies and he comes out in the night and he hunts, and he is protected by a shell. There's no doubt that the moniker might be a bit more controversial on this side of the pond — public opinion regarding Snowden is far more negative in the U.S. than it is abroad, with 64 percent of Americans holding a negative opinion of him, according to an April KRC Research poll. In Germany, however, Snowden enjoys levels of support that he can seemingly only dream of getting back home. The same poll found that 84 percent of German adults aware of Snowden viewed him favorably. Lukhaup's blunt etymology for the new crayfish, which was announced in the journal ZooKeys on Monday, reflects just that degree of broad-based, staunch support. 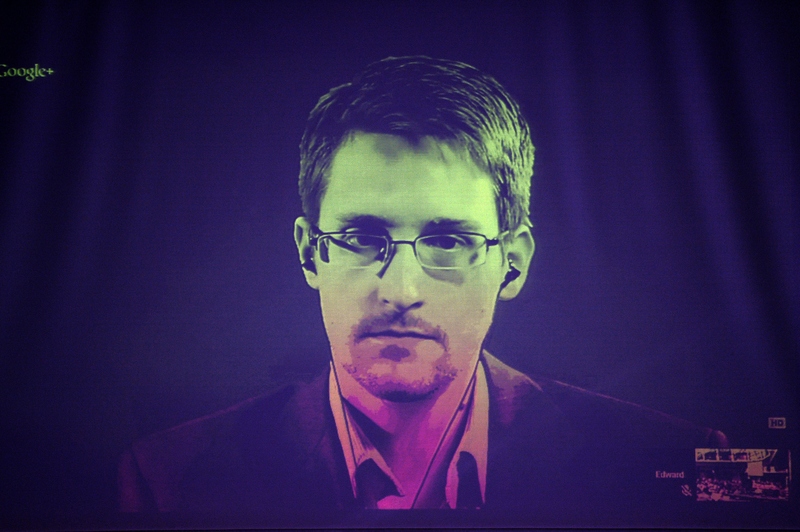 The new species is named after the American freedom fighter Edward Joseph Snowden. He is honored due to of his extraordinary achievements in defense of justice, and freedom.